An exotic species, not found in Australia. It is mainly a pest of species from the family Rosaceae and is present in the USA, Canada, Europe and northern Asia, the Mediterranean Basin and South-East Asia. Hosts include strawberry, hawthorn, Malus spp., cinquefoil (Potentilla sp. ), avens and comarum. It has also been reported feeding on azaleas and rhododendron (the only known host plants outside Rosaceae). Since this species is a medium sized, brown moth with few distinctive features, it is similar in appearance to many native moths that are roughly the same size, shape and colour, particularly those from the same family (Tortricidae). See yourself travelling to new countries, meeting leading growers and agribusinesses, and growing your horticultural experience? The Fellowships are available to anyone working in a registered levy-paying horticultural business, and will be awarded on the basis that research undertaken will provide clear benefit to Australian horticulture and the wider community. “The nursery industry is dynamic but highly diverse. As we’re dealing with many different products and markets, it’s important to note that research isn’t a one-size-fits-all, but a vehicle to find new solutions for the benefit of all of industry.” – Dr Kristen Stirling, RMCG. Our industry is booming, but how can we build our capacity to facilitate this growth? That’s the focus of a recent review carried out by RM Consulting Group, aimed at investigating world-leading research, development & extension (RD&E), in order to develop a roadmap for a more effective, sustainable and innovative Australian nursery industry. Led by research provider, cesar, the RD&E program for the control, eradication and preparedness for vegetable leafminer (MIT16004) is constantly developing and innovating to come up with new ways to protect the biosecurity of our industry. 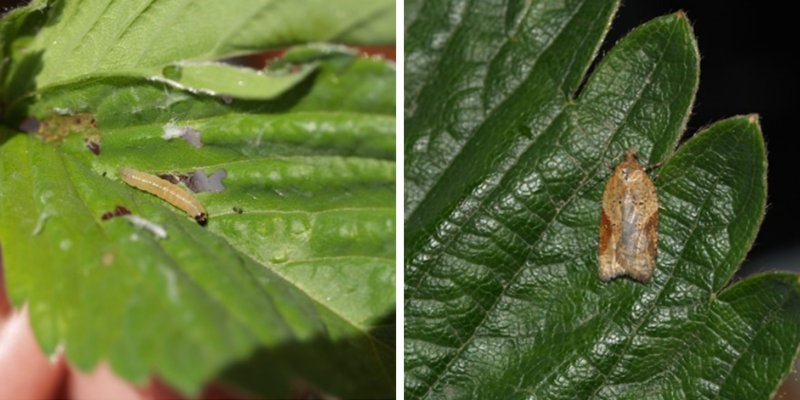 The vegetable leafminer (Liriomyza sativae) is a small polyphagous fly that lays eggs within the leaves and stems of plants; maggots then tunnel throughout to create mines or tracks that only increase in size as they grow. First detected in 2015 at the tip of Cape York in Queensland, VLM represents a substantial threat to vegetable and nursery industries, and this project is vital in raising awareness and educating industry on the best way to resist and manage its entry and spread. Nursery is one of the largest industry sectors within Australian horticulture and is the starting point for all horticultural plant production across the country. Production nurseries employ more than 20,000 people across Australia and in 2015-16 was valued at $2.29 billion. We are on the brink of a green era – and with approximately 1,700 production businesses nationwide, it is vital we support and promote initiatives that focus on human capital for the nursery industry workforce. Applications for the 2019 Green Industry Growing Leaders Program (MT16002) are closing Friday 8 March 2019 5pm AEST. The Green Leaders program has been funded by Hort Innovation using nursery and turf industry levies and funds from the Australian Government. The program awards scholarships to applicants who are nursery or turf levy payers, as well as employees of these businesses. Delivered by management consultancy firm, The Right Mind, this initiative provides an opportunity to support the growth and empowerment of our workforce, through upskilling and professional development of leadership skills.